62 pages, including 6 gate-fold pages, with 14 translucent divider pages. 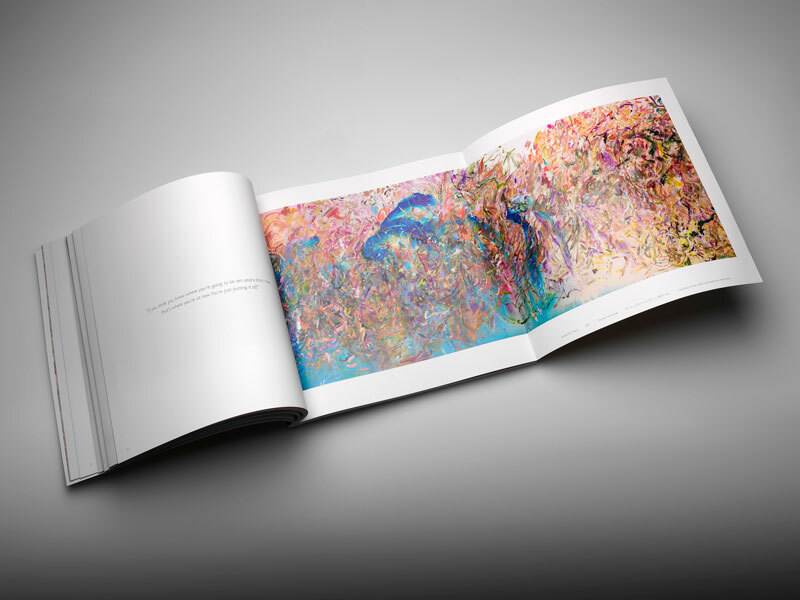 Printed in full color, with 1 PMS special color, and spot gloss varnish. Cover printed on 130# Utopia Premium Silk. Text pages printed on 65# Utopia II Matte. 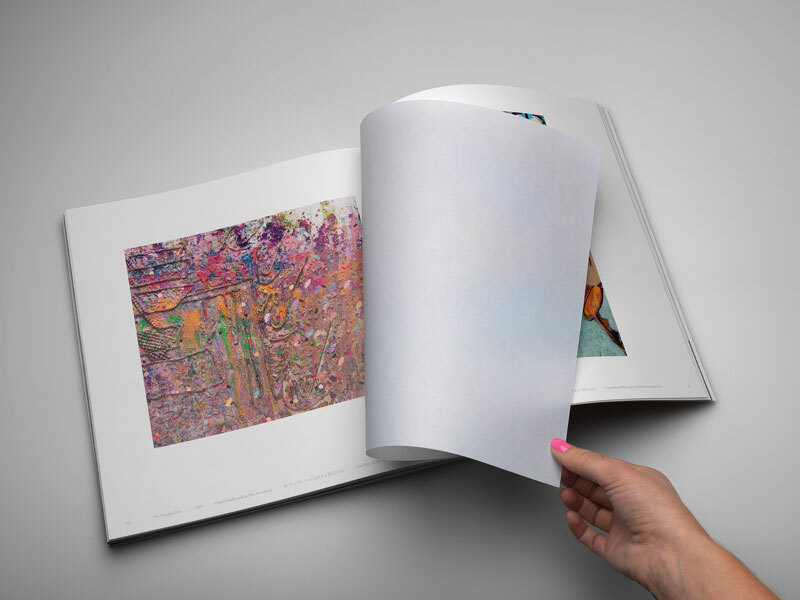 Images printed with 400-line hybrid screening. 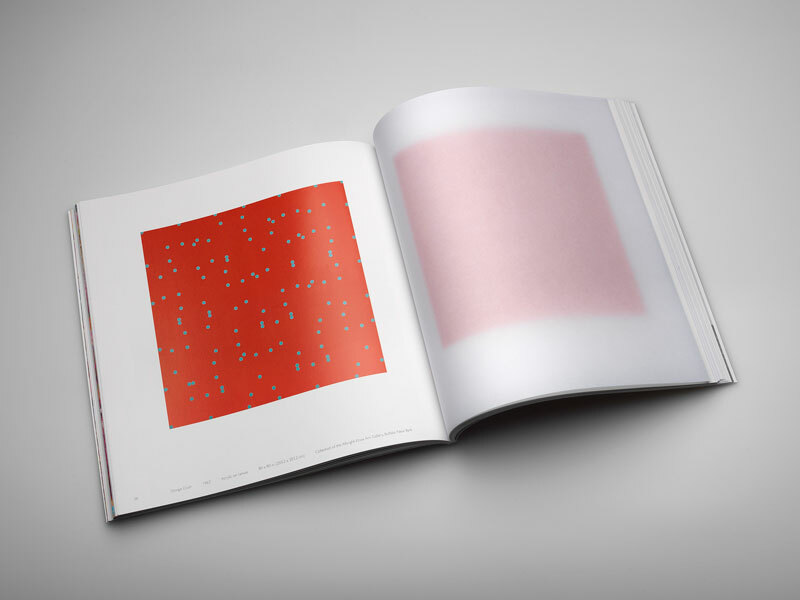 In accompaniment with Larry Poons: Momentum the exhibition, Brilliant created a 74 page catalog depicting the exquisite color, technique, and pure emotion of Poons’ paintings. 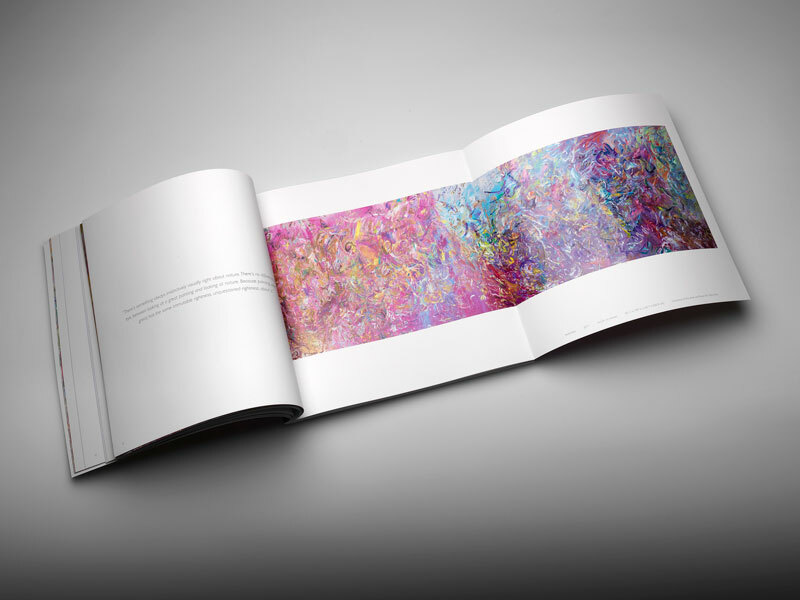 The Catalog is full of remarkable, vibrant and unique colors, and features six striking gate-folded pages for an impactful effect. Also included in the catalog are essays by Barry Schwabsky and David Ebony. 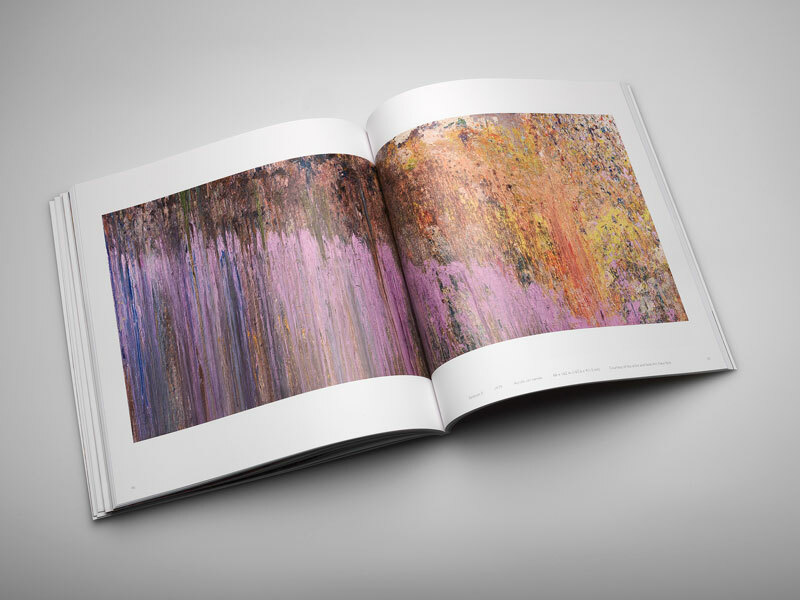 Larry Poons, born in Tokyo in 1937, has evolved as an artist over the years. 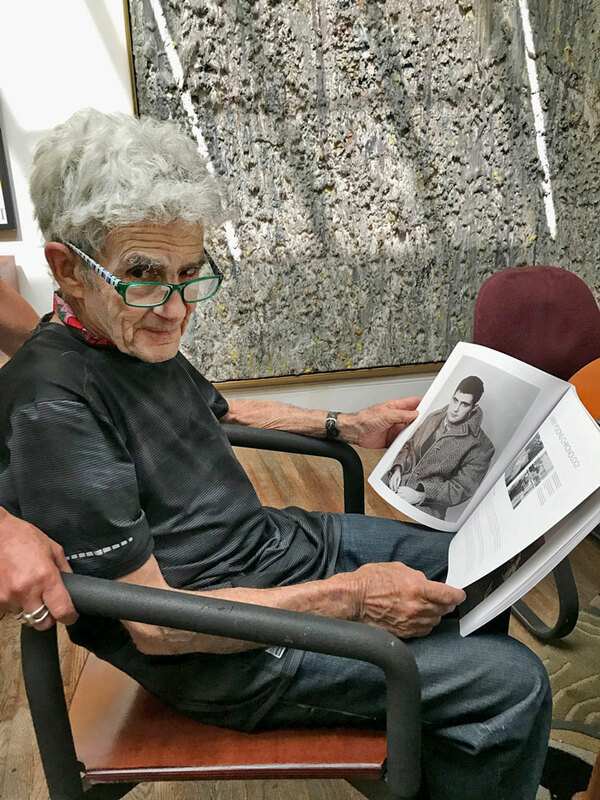 From studying musical composition at English Conservatory of Music, to now having dozens of strikingly abstract collections on display throughout the world, his transformation as an artist has been nothing short of intriguing. 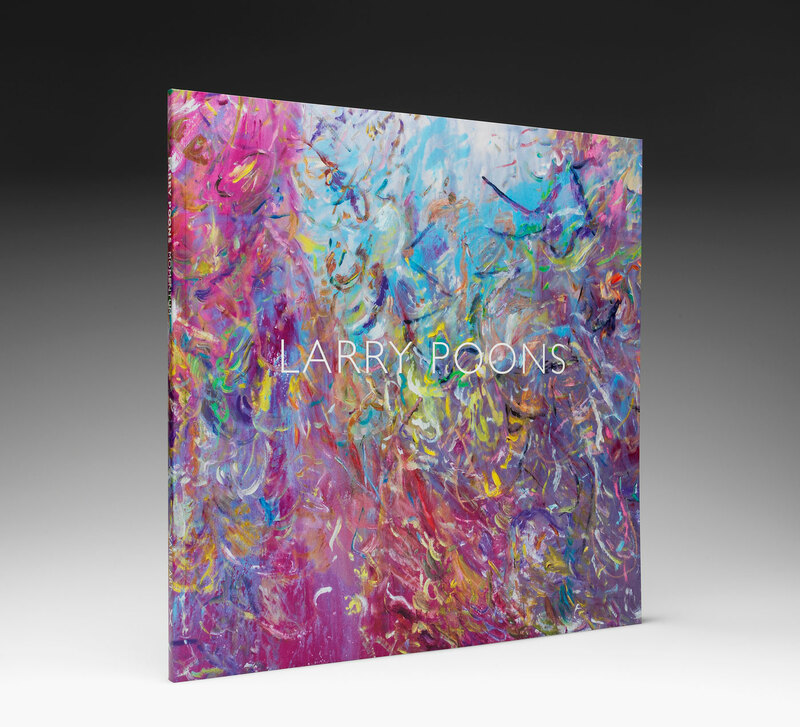 The impact of his gestural and emotional works will be felt long after Larry Poons: Momentum exhibition concludes.